The Liz Inwood scholarship was set up by the Vintage Aircraft Club (VAC) and the Inwood estate to give young pilots the opportunity to take their PPL flying a little further and convert from flying nose wheel aircraft to vintage taildragger types. 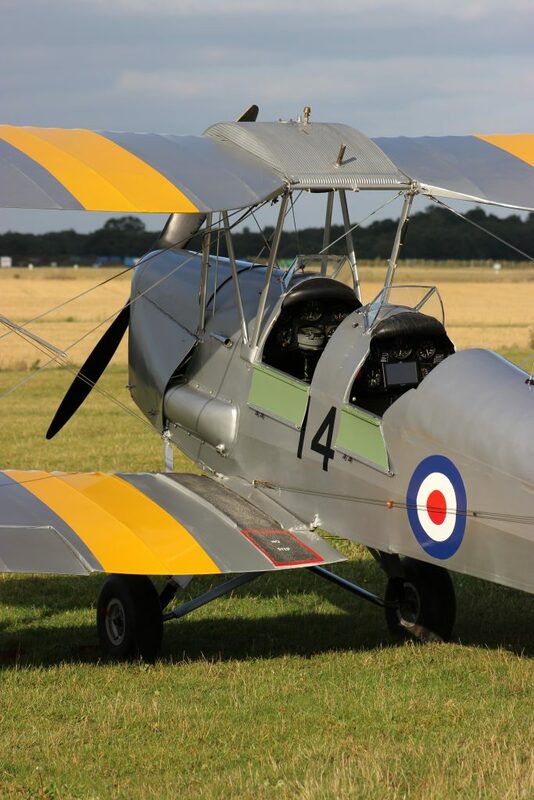 Established in memory of Liz Inwood, Tiger Moth pilot and instructor, this year the scholarship was awarded to twenty-five year old Ben Pilgrim who had already shown his enthusiasm for aviation in designing a 1912 Blackburn monoplane flight simulator model. Apart from his interest in vintage aircraft, Ben is training to become a commercial pilot. The Vintage Aircraft Club, founded over 50 years ago, has a growing membership of nearly 340 pilots and members who share their enthusiasm for a diverse group of aircraft, from the 80 year old Dragonfly to Piper Cubs, Austers, Beechcraft Bonanza and Taylor Monoplanes, among many others and many unique aircraft. Club members are keen to share their commitment with younger members and the scholarship is one way the VAC can enable young people to gain the experience to fly a variety of aircraft.